Legal Research – why is it important? Whether your case is in the general District Court caseload or one of the special proceedings such as small claims court or landlord-tenant court, understanding the law and the rules is critical. The “law” will tell you about your rights and obligations. The “rules” will tell you how the case will be handled in the courts. You need to be familiar with both in order to be successful with your case in court. If you have a sense of your chances of success, it will help you in negotiating as well. Small claims court is informal. Meaning that many of the rules on how you must present testimony and evidence do not apply. Your rights and obligations under the law, however, remain the same. The more you understand, the better your chances of proving your case. Don’t rely only on what others say. Read the law and rules yourself. For example, MD Rule 3 – 701(f) discusses the rules of evidence in small claims court. You can compare it with the general rule in District Court Rules Title 5 – Evidence. You can find good information on websites like this but you still have to do additional research in order to strengthen your chances of winning. Lawyers and judges use a number of special terms to describe certain concepts in the law. Many of the terms are in Latin. In addition, words that have a plain English meaning may also have a very special legal meaning. For example – The term party means “a social gathering” in common English and means “a person or group involved in a legal proceeding as litigants” as a legal term. Some words you already know, such as “alibi”. And you usually do not need to know more than a few legal terms. The Peoples Law Library website has a good directory of legal terms and their definitions. It also includes links to other reputable legal terms dictionaries. Many people think of there is one special set of books that are “the law.” Instead, the law is a combination of rules that have been created by different levels and branches of government as well as our combined history. You must consider the combined influence of all of these when looking at the facts in your case. Where do I find “the law”? Review the special research guides by topic. You can also visit your local law library where a librarian can help guide you to appropriate resources. Keep in mind that the librarian cannot provide legal advice on your situation. Your local public library can also assist you with finding legal resources and locate legal help. Read more about this special project, “Get Ready for Your Day in Court @ Your Library” and locate your local library. Which District Court Rules Apply? The details on how the court process will work (called “procedure”) are found in the Maryland Court Rules. 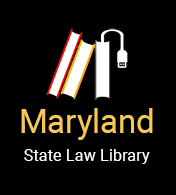 The Maryland Court Rules that apply to cases described in this Guide are called “Title 3 Civil Procedure – District Court.” In other words the Rules for criminal cases and for the Circuit Courts are found in other places. Small claims and landlord-tenant cases are considered “special proceedings“ under the District Court Rules. Generally the District Court Rules apply to every case in District Court, except where the rule says otherwise under the section in these “special proceedings”. If your case is a small claim (under $5,000), there are special rules that apply to your case. The trial court will be much more informal. If there is no special rule on your specific issue, then the general rules apply. If your case is a large claim or some other type of case that belongs in District Court, the other general Rules under Title 3 apply to you. The “small claims" special proceeding rules do not apply to your case. For example, Special Rule MD 3-701(e) says that there will be no discovery allowed in small claims cases (i.e. $5,000 or under is in dispute). If your claim is for only $50 more ($5,050), however, discovery is allowed under the regular District Court rules. See Chapter 400-Discovery of Title 3 Civil Procedure – District . What this means is that much more complicated rules will apply to your case. You need to be prepared. Where can I find help understanding the legal research I have done? Your local law librarian can help to a limited extent. You can contact a Maryland-licensed attorney for more thorough advice. Your local public library on the Eastern Shore can assist you to find legal resources and locate legal help, if needed. Read more about this special project, “Get Ready for Your Day in Court @ Your Library” and locate your local library. How do I evaluate the usefulness of the legal information that I find on the Internet? It is important to know where the information is coming from and how recently it has been updated. This site has some quick tips on how to evaluate any legal website – including this one.